2019 Exhibitions and shows will be listed here in due course. FEBRUARY–MARCH: 4th February to 4th March 2019. Royston Arts Society, Royston Library, Market Hill, Royston, Hertfordshire SG8 9JN. Open Monday to Wednesday 10.00am – 5.30pm; Thursday 10.00am – 1.00pm; Friday 10.00am – 5.30 pm; Saturday 9.00am – 4.00pm. Closed Sundays. 18th and 19th May 2019. Fowlmere School 19th Spring Art Exhibition. Open Saturday 18th May 10.00am to 9.30pm (includes a Preview evening of invited guests). Sunday 19th May 10.00am to 4.30pm. There will be art/craft workshops across the weekend for children and adults, and refreshments and a raffle. 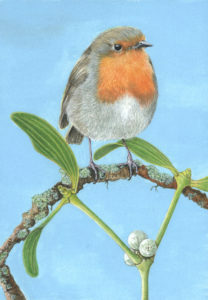 Enquiries: fowlmereartexhibition@gmail.com, Telephone 01763 208203. 1. Wednesday 8th May 2019, 10.00am to 4.00pm. I am doing a watercolour workshop. 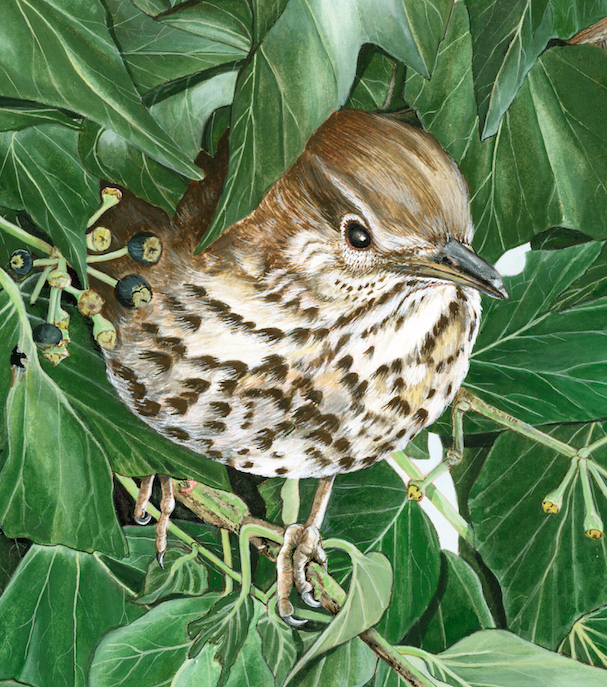 The main exhibition title is “Spring into Summer”—My one-day workshop, entitled “Spring Flowers and Little Dewdrops”, complements this theme by encouraging students to carefully observe, draw, and then paint a wild spring flower, with perhaps a little, elegantly placed, dewdrop. There are twelve places available. 2. Saturday 1st June “Botanical Drawing Day in Graphite” 10.00am to 4.00pm. 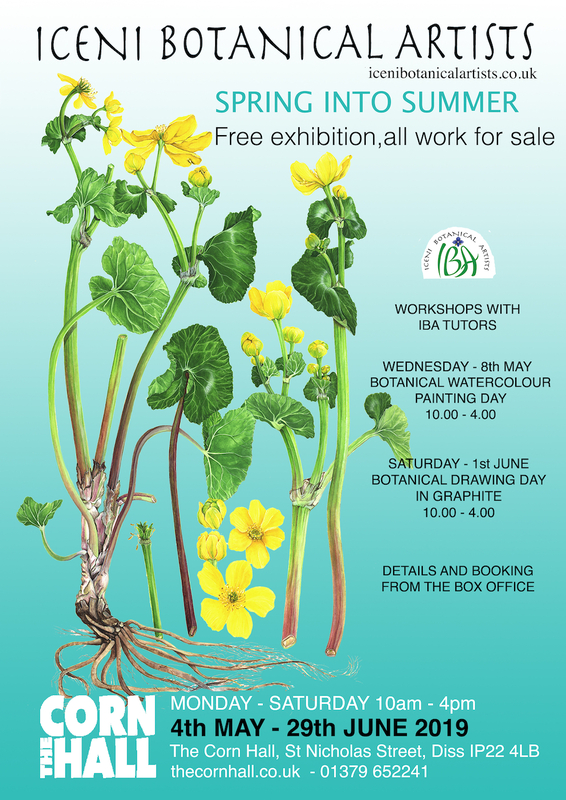 It is wonderful that one of my paintings has been chosen to decorate the poster and publicity literature (see below): Marsh Marigold. You can enjoy a wonderful meal or refreshing drink whilst perusing my artwork. I shall be in residence all four weekends to meet and greet you, and Amanda and Colin will be there to raise your appetite. Subject to being selected for a stand, I shall be at the 2019 Gransden Show which will be held on Saturday 28th September at the Show Field, Caxton Road, Great Gransden, Cambs. Open to the public from 9:00am.